Man, that camel was fast. 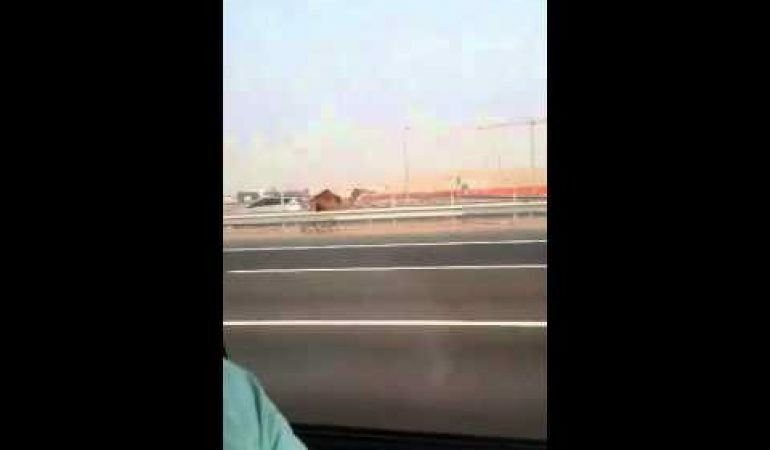 While vacationing in Abu Dhabi, these tourists spots a most unusual sight: a guy chasing his runaway camel barefoot along a major highway. Too bad nobody was kind enough to stop and help him.